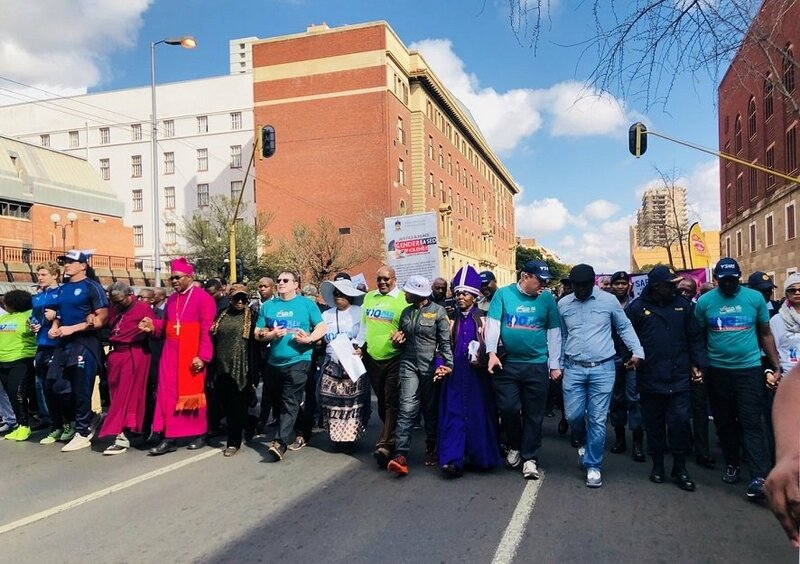 Hundreds of South African men marched on Tuesday in Pretoria to campaign against violence against women and children. 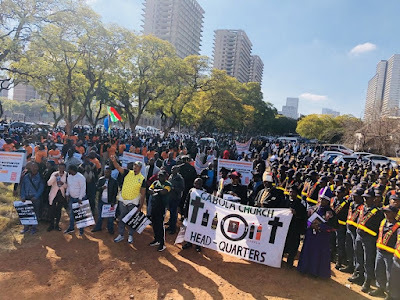 Dubbed #100MenMarch, the national campaign is part of the centenary celebrations of former President Nelson Mandela and anti-apartheid activist Albertina Sisulu. The participants including government officials, the police, churches and celebrities signed a pledge to protect women and children from violence and end the scourge of violence. 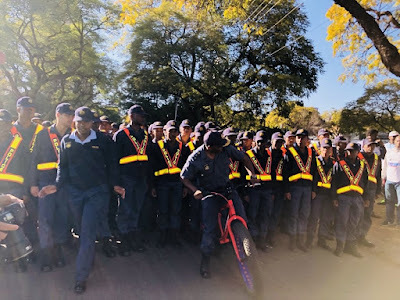 Minister of Police Bekhi Cele acknowledged the severity of the crime in South Africa and the level of abuse the women are going through. “The scourge is quite bad at the present moment, how women and children are being abused by men…until you have a mental change, the scourge will continue, it is a call to men,” he said. “Crimes against women and children are our highest priority this year…women must walk freely in the street without being raped, without being disturbed by any criminality…we will like to create a safe and secure environment for all women in the country,” says South African national police commissioner John Sitole. The march was held for three hours and some women joined in as the country sought to spread awareness against the scourge. See highlights of the march below.